Our main reason for going to Northern Ireland at peak holiday time was to visit relatives before we head off on our trip down under. As usual we took an overnight ferry from Birkenhead to Belfast. 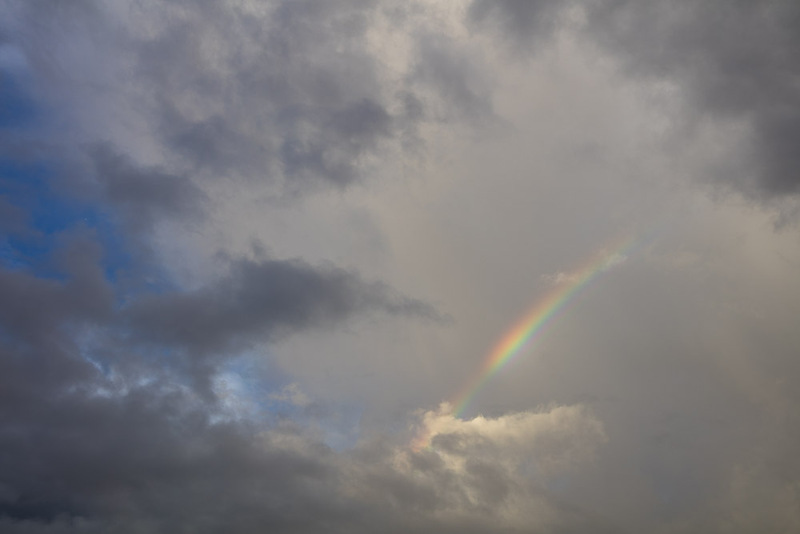 A rainbow in the sky promised some improvement in the weather. 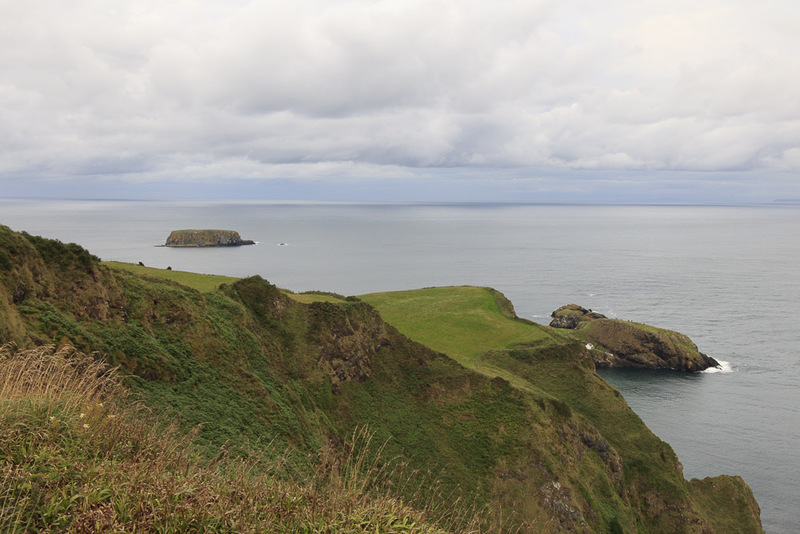 We spent the first couple of days visiting family members but then started to get itchy feet so set off down the coast passing the hordes of people visiting the Giant’s Causeway and the Carrick-a Rede Rope Bridge. 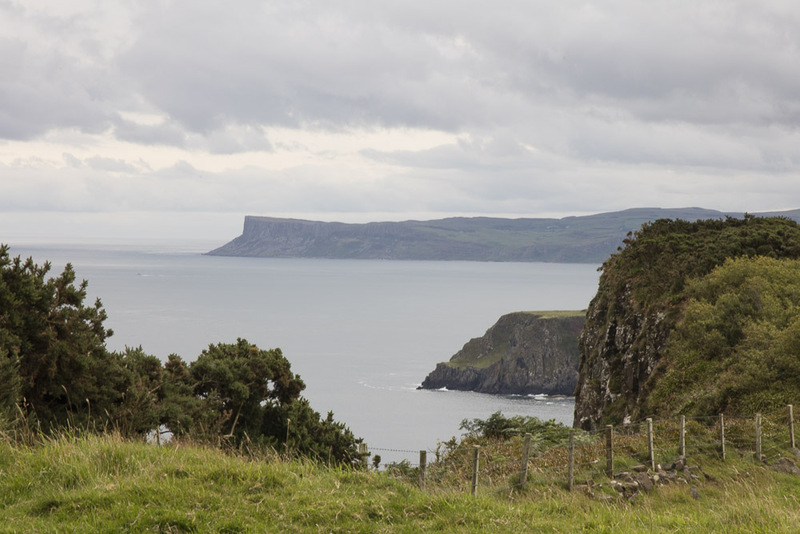 Our first stop was at the Portanaeevey viewpoint which gives views over to Rathlin Island and the mUll of Kintyre. 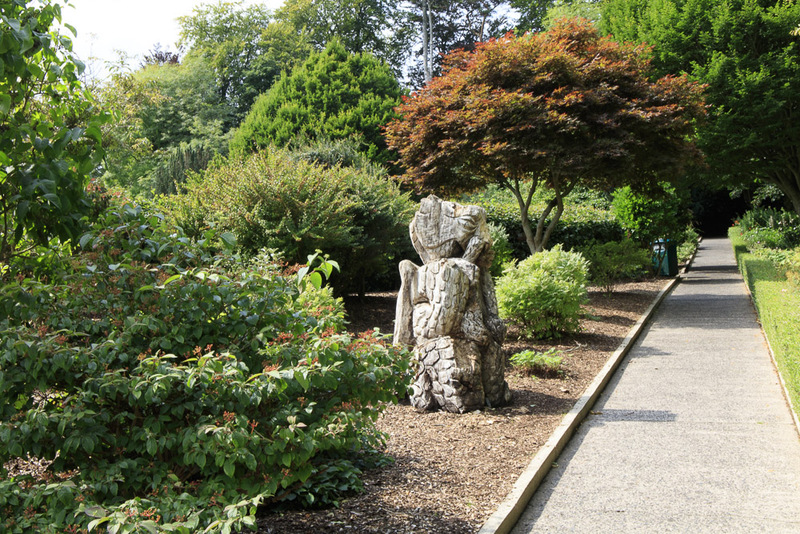 Our first destination was Carfunnock Country Park which is north of Larne. It was formed from two country estates and has several facilities for children and young people as well as a campsite. I was most interested to see the garden. This was formerly the kitchen garden of Cairncastle Lodge which was gifted to the local council in 1957 with the estate. 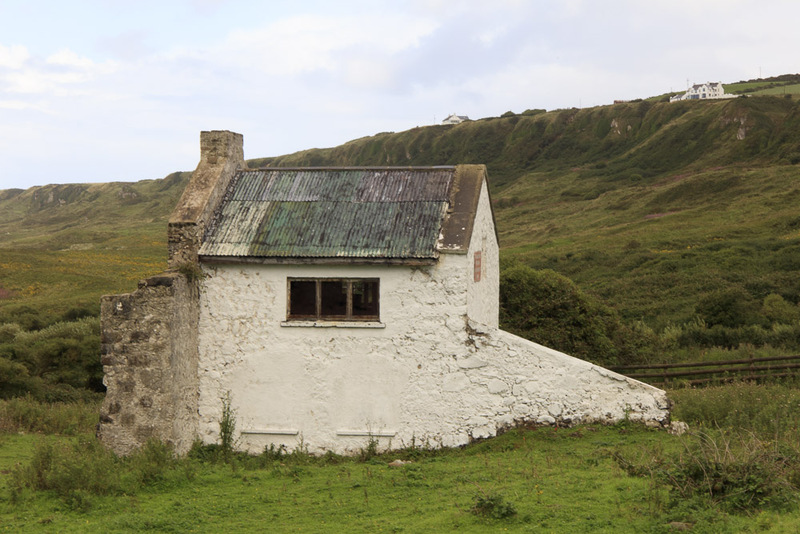 By the 1980s it was in decline but grants enabled its restoration in the 1990s. 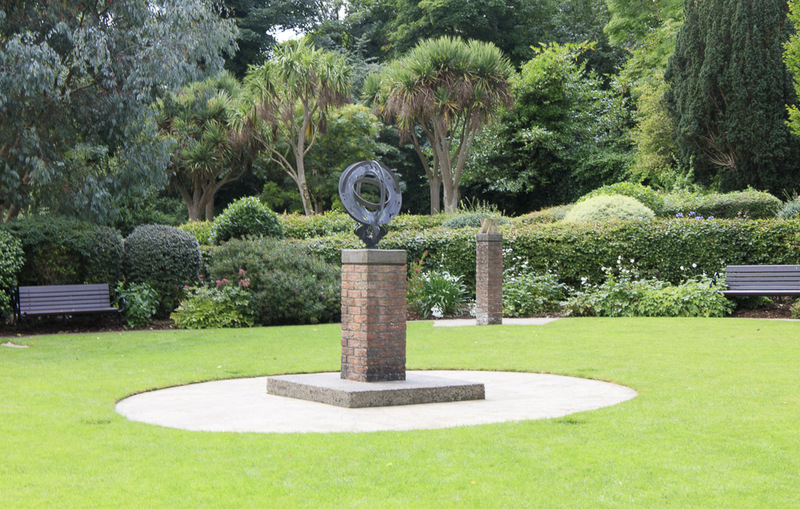 It is now called The Time Garden and has numerous sundials giving GMT, BST and local time. Heading north again along the coast our next stop was the garden at Glenarm Castle. 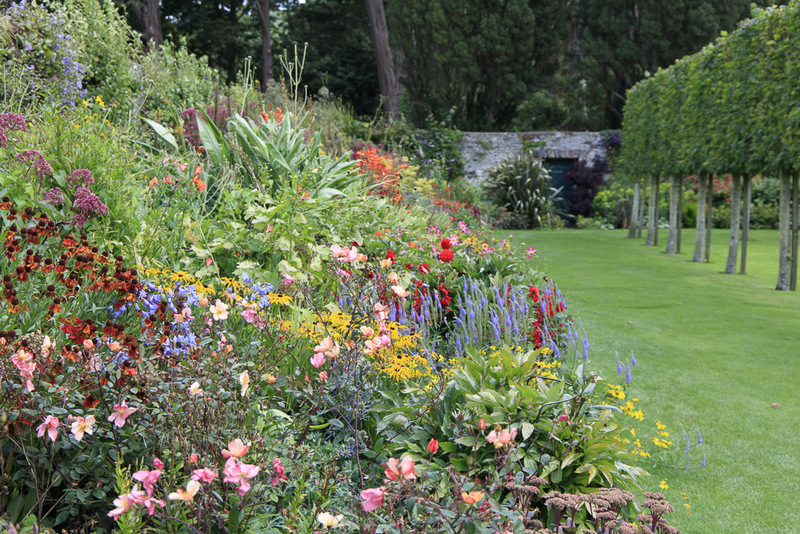 This was a more traditional walled garden with pleached lime trees, beech hedges and many beds of flowers, fruit and herbs. 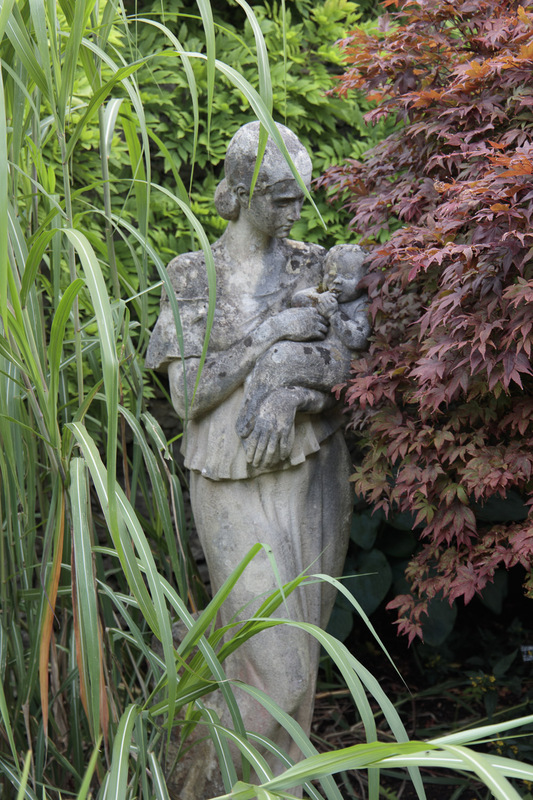 There were several sculptures among the plants. There is a fudge factory in the grounds and the castle, still owned by the local aristocrats is occasionally open to the public. 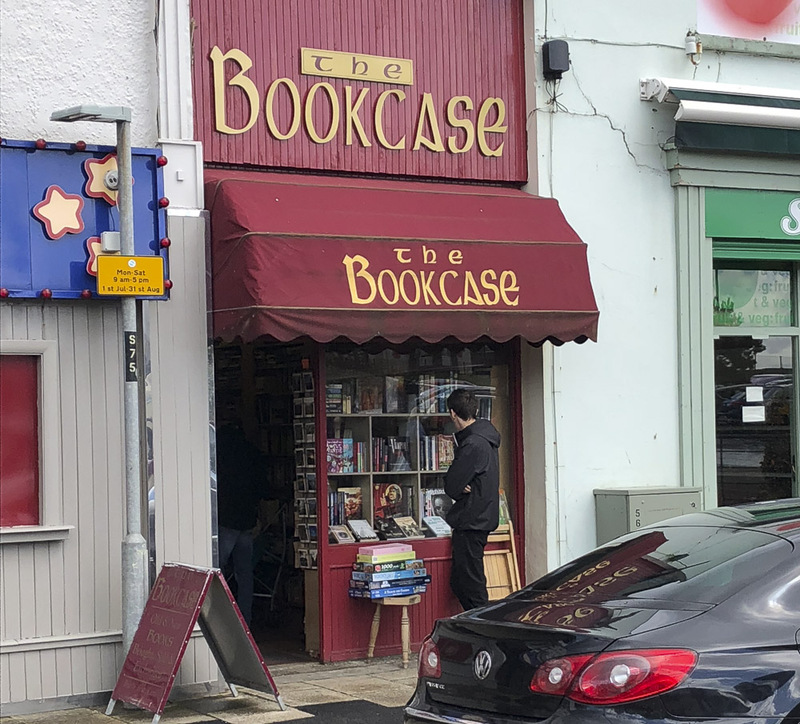 On our last day we popped in to the Bookcase, a second-hand bookshop in Portrush. He has a good selection of Irish books as well as general fiction, non-fiction and children’s books. We dodged the showers on one of our favourite beaches at Whitepark Bay. There were a few dog walkers but it was pretty quiet. The cliffs here are chalk in contract to the basalt columns of the Giant’s Causeway. You can often find fossils on the beach, most commonly belemnites (we have several on our mantelpiece) and occasionally, ammonites. On the path down to the beach you pass a building and some ruins of an old ‘hedge school’. This was for young gentlemen and dates from the 18th century. 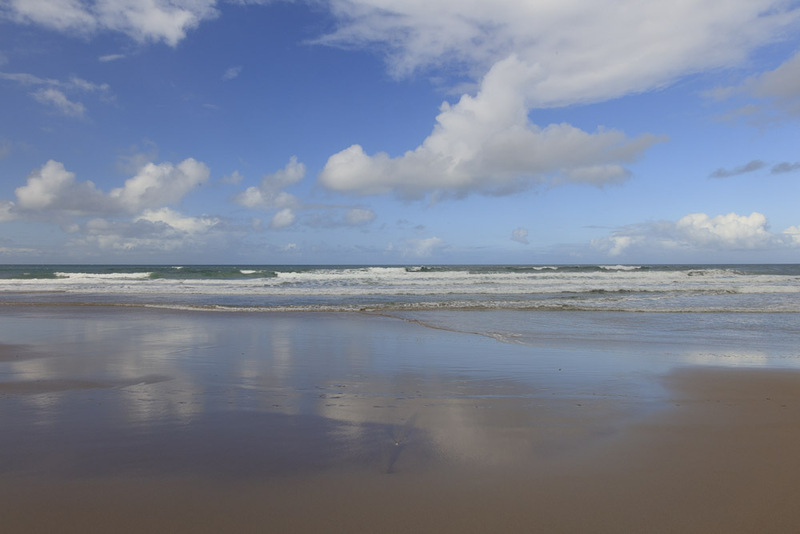 The beach is now under the care of the National Trust. There is a Youth Hostel here. Occasionally sheep and cows graze on the grass next to the beach under an agreement. Keeping the grass low, encourages wild flowers. There were some cows when we arrived but they quickly departed when a heavy shower arrived. 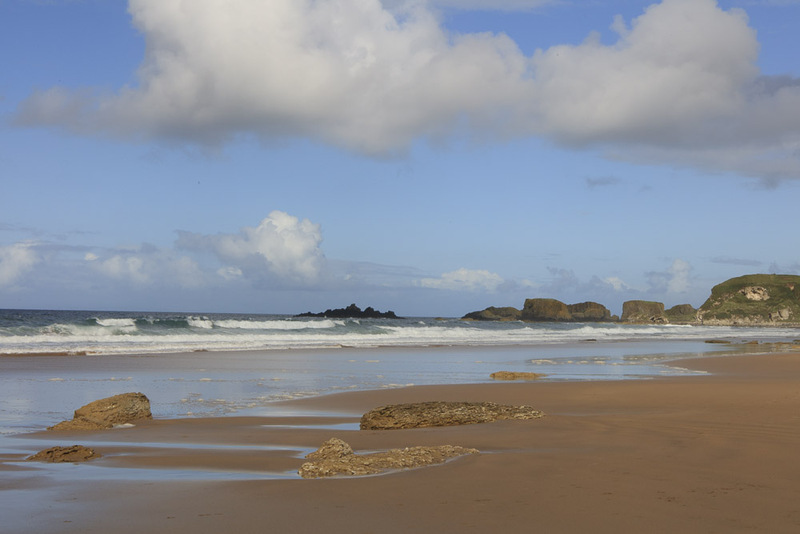 If the tide is not high you can walk along the beach to Ballintoy harbour. 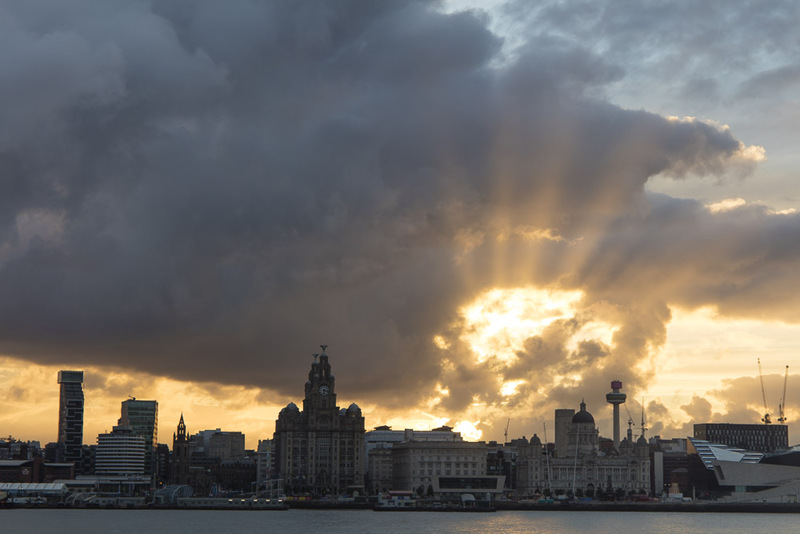 It was soon time to head home again and after another night on the ferry we arrived in Birkenhead dock just as the sun was rising over Liverpool. Unbelievably stunning photos – I know I often write that exact line in this blog, but they keep getting better and better. Isn’t that what happens when you’re consistent with taking photos – you finetune it.